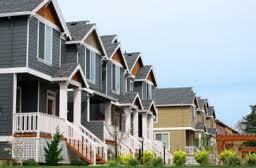 SEATTLE, Aug. 21, 2012 /PRNewswire/ -- Home values continued to climb in July, increasing 0.5 percent from June to a Zillow® Home Value Index[i] of $151,600, according to the July Zillow Real Estate Market Reports[ii]. Home values were up 1.2 percent year-over-year. Most (62 percent) of the metros covered in the reports saw home values climb during the month, with only 49 of the 167 metro areas experiencing declines. Of the 30 largest metro areas covered, the Phoenix metro area experienced the largest monthly increase, with home values rising 2.2 percent. Other large metro areas with notable monthly increases include the San Francisco metro (1.2 percent) and the Denver metro (1 percent). U.S. rents continued to rise, climbing 0.2 percent month-over-month and 5.4 percent year-over-year to a Zillow Rent Index[iii] of $1,278. Nationally, rents have increased in 6 out of the past 12 months, with most metros (70 percent) experiencing rent increases from June to July. Rents have experienced double-digit, annual increases in several large metro areas where home values continue to decline, including Chicago (12.6 percent), Providence, R.I. (12.1 percent) and Baltimore (11.9 percent). This is likely due to both continued high foreclosure levels in these markets, which increases rental demand, as well as consumer reluctance to buy when home values continue to fall. "This summer, the housing market continued to heal, as home values experienced their eighth consecutive month of increases," said Zillow Chief Economist Dr. Stan Humphries. "Tight inventory levels are leading to bidding wars and multiple offers across the country. Looking ahead, we expect to see less aggressive increases in the fall as rising values lift some would-be sellers out of negative equity, allowing them to place their homes on the market." Foreclosures continued to decline in July, with 5.7 out of every 10,000 homes in the country being foreclosed. That was down from 6.5 out of every 10,000 homes in June. The full national report, in its interactive format, will be available at www.zillow.com/local-info at 8 a.m. ET on Tuesday, Aug. 21. Additionally, in most areas, data is available at the state, metro, county, city, ZIP code and neighborhood levels. More market analysis of the monthly data can be found at www.zillow.com/research and a PDF of the Real Estate Market Reports can be found at www.zillow.com/blog/research/data/.